A 17-year-old boy has died at Reading Festival. Emergency services were called to a tent in the campsite just before 02:00 BST, where he was pronounced dead. Thames Valley Police said it was treating the teenager's death as "unexplained". His next-of-kin have been informed. In an unrelated incident, an 18-year-old man suffered "non life-threatening injuries" after being stabbed in a fight at the festival on Friday night. 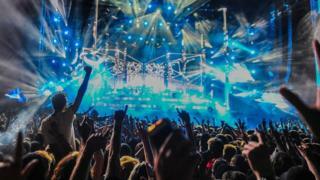 The three-day music festival ended on Sunday and was expected to attract crowds of more than 90,000.